Your statements about having to crash and burn were borne out by the recent election in Ontario Canada where the Liberals, admittedly one of the most corrupt governments in Canada, having doubled the deficit in about 11 years, were handed a majority government because they promised the moon to everyone, including no cuts to any civil service jobs and a brand new provincial pension plan (a new payroll tax). People did not care about the corruption so long as party time kept rolling with new pensions and no cuts to the government. Unions played an astounding part in the election, spending millions of dollars on TV and media ads about how society was going to fall apart if anyone tried to deal with the deficit. Fiscal responsibility was equated with a form of right-wing extremism. It truly is unbelievable that a populace could become so stupid. Thanks for your blog. Can you give any insight into Canada’s place in what is coming? 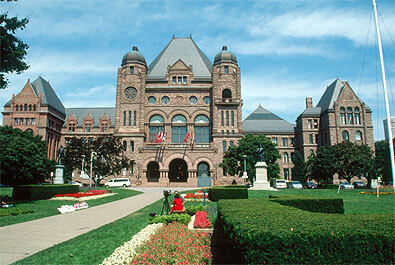 Certainly, I see no future for Ontario but bankruptcy. REPLY: There seems to be no exception to the crash and burn. Politics has become so corrupted everywhere thanks to Marxism that this is what the civil unrest will be about. What started in Ukraine and Thailand is spreading everywhere. Canada will see civil unrest in line with the USA after 2015.75. You cannot keep promising everything that is never funded. A moron would figure that much out one day.